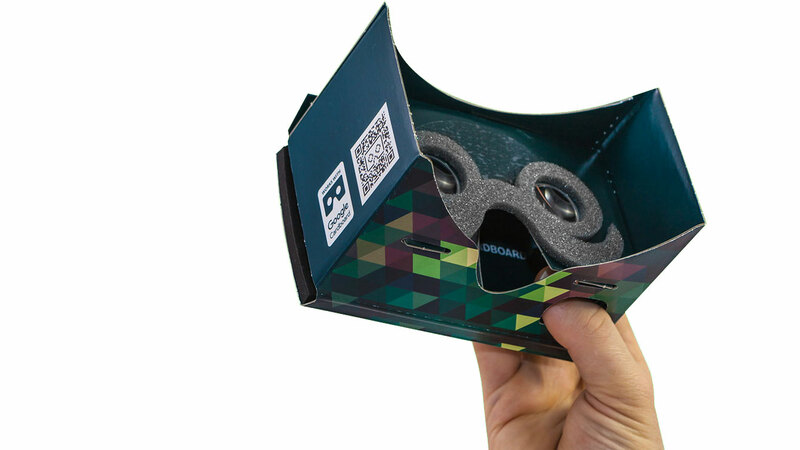 Google Cardboard makes your smartphone into full-blown virtual reality glasses. Since 2014, different versions have developed on the market made from cardboard. However, the principle is always the same. The smartphone acts as a display and sensor, the lenses expand the field of view, and the cardboard ensures cohesion, comfort and light sealing. 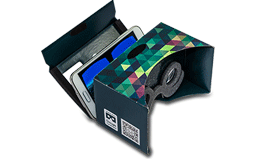 We have detailed Google Cardboard and how it works on our FAQ site. However, there are big differences between the various glasses, and in many respects the devil is in the details. You can find out here what the similarities and differences are between POP! CARDBOARD and Google Cardboard versions 1 and 2. 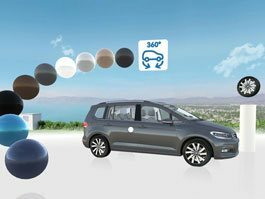 Basically all Google Android and Apple iOS smartphones that use a gyroscope are compatible with POP! CARDBOARD. 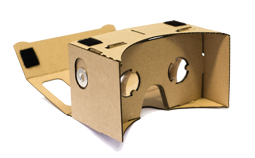 Thus all smartphones that have been made after 2013 should be compatible with Google Cardboard. You can find this out by downloading the Google Cardboard App. However, it is also important that your smartphone fits into the Cardboard. Unfortunately this is not the case with all Google Cardboards. The POP! CARDBOARD houses all smartphones up to a width of 83 mm. This way even smartphones with a 6-inch display like the Huawei Mate 8 fit inside. And of course smaller smartphones are also suitable for the POP! CARDBOARD. The POP! CARDBOARD has two foam rubber strips that either brace larger smartphones or completely prevent smaller smartphones from sliding out. The best Cardboard serves no useful purpose if the smartphone doesn't work. The POP! CARDBOARD comes completely assembled, flat-packed in its own case. Assembly, if you can speak of assembly at all, is finished in 50 seconds. Remove the Cardboard, assemble, fold down the lens carriers, and it's ready. As needed you can fold the POP! CARDBOARD flat again into the case, and take it with you anywhere. This is unique. The POP! CARDBOARD is manufactured in Germany. The quality of the paper and the printing are absolutely top-notch and stable due to the multi-layer construction, like a board. Even water doesn't affect the sealed surface, making for a long service life. Thanks to the padding that runs around the eye area and reaches over the nose, the POP! CARDBOARD is pleasant to wear for several hours. A forehead protector is affixed between the lenses to protect the Cardboard and your forehead. No one wants a sweaty Cardboard or a stain on the forehead. Due to the foam around the eyes, sides that are pulled far back, and the two foam rubber strips (grip pads), outside light is well sealed out, and you can fully dive into the virtual reality. You simply hold the POP! CARDBOARD on your face, whether you wear glasses or not. Eyeglass frames up to 14 cm wide fit in the Cardboard well. Visual acuity cannot be adjusted individually, but you should have no problem using it without glasses in the case of mild short-sightedness. The Google Cardboard v1 originally had magnets that Google intended as an input device. However, not all smartphones have a magnetic field sensor, nor is it always installed at the same location. Therefore Google introduced an electrically-conductive button as an improvement in version 2. Unfortunately, these wear out after a while and then there is continuous pressure on the display. It is also hard to click quickly, because the button needs to spring back first. This is also not ideal. To eliminate these problems from the world, the POP! CARDBOARD has a thumb hole at the bottom as an entry point. This way you can type on the display while the smartphone is in the Cardboard. Exactly, precisely, and intuitively. In addition, the thumb hole enables you to click rapidly (e.g. for shooters) and even to make swiping movements (to see photos). A customer wrote on Amazon: "After using a variety of switches I have to say: the 'hole system' is much more practical." And yes, the thumb hole is compatible with all smartphones. You can find a list of apps that can be used with the POP! CARDBOARD in our app overview. 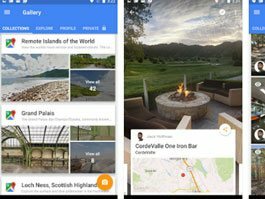 Since Google Cardboard does not have its own display, your smartphone does this job. Therefore the image primarily depends on your smartphone, or more precisely on the pixel density and the resolution of content. Unfortunately streamed YouTube videos currently have low resolution, and the best Cardboards can't do anything about that. However, the quality of the lenses and how they are installed in the Cardboard have an influence in this regard. The POP! 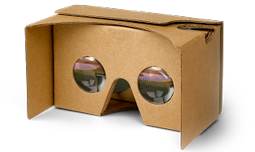 CARDBOARD uses crystal-clear lenses that have been specified by Google. The Cardboard has also been perfectly coordinated with the focal length of the lens, so that the image is presented as sharply as possible by all Cardboards. Contrary to popular opinion, larger lenses are not automatically better. 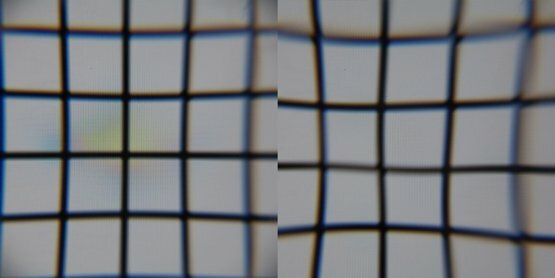 Larger lenses also have a higher degree of distortion. Thus if you are not exactly in the optical center with your eye, the image will be distorted and blurred. This inevitably happens for most people because the lens distance is fixed at the average. This can ultimately lead to a problem for you. Smaller lenses prevent this effect because they distort less. And the gain in the field of view is questionable, since even a 6-inch mobile phone screen does not fill the field of view. 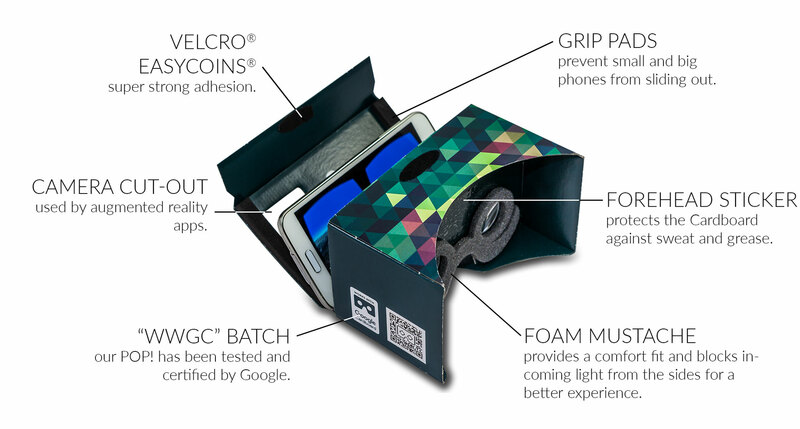 The "Works with Google Cardboard" (WWGC) seal was launched by Google in order to ensure a certain level of quality. A multi-step process must be gone through In order to obtain this seal, during which the Cardboard and its production are audited. 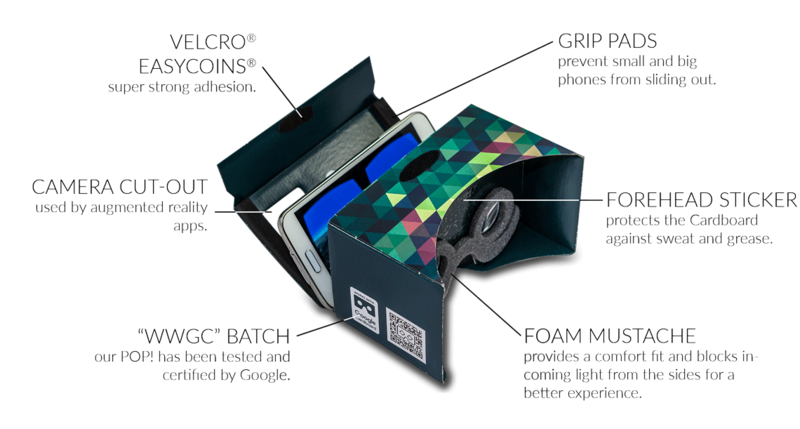 Only once the Cardboard has undergone all tests regarding usability with Google Cardboard Apps and has achieved the required specifications, will the WWGC logo be applied. Of course our Cardboard is ready for Daydream and works perfectly with all daydream ready phones such as the Google Phone Pixel. Sampling tests will also be performed at random intervals. However, as a B2C or B2B customer it is worthwhile to be wary regarding this seal. There are many black sheep in the industry who present the seal, even though they have not been audited. It is helpful to check the Google page which lists all audited manufacturers. Of course you can find our POP! CARDBOARD there. 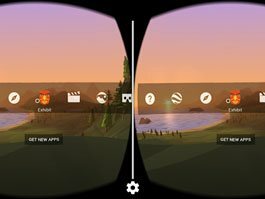 There are hundreds of apps for Google Cardboard now, and more and more are being added. Just search in Google Play - everything is there, from mountain tours and roller coaster rides, to educational programs. The apps are sorted into different categories, so you can easily find something you are specifically looking for: music and video, games, experiences, etc. Here is a small selection for you. If you want to find more apps, check out our app overview. 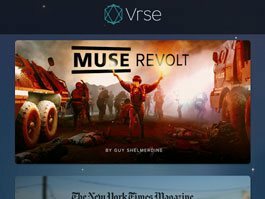 Your starting point for your tour through the virtual reality. Configure your car and learn more about the interior and accessories.